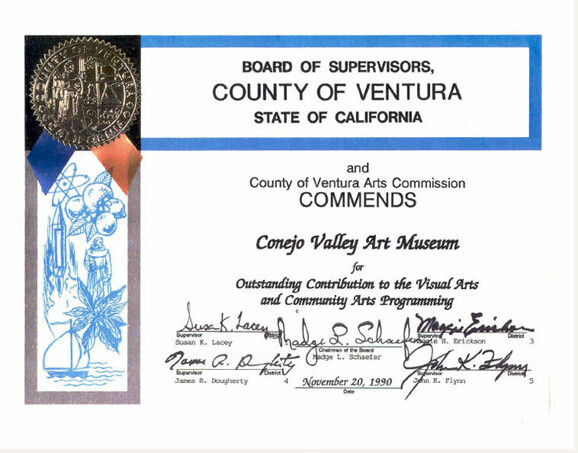 The Conejo Valley Art Museum focuses on creativity in its many guises, acknowledging that Art and Design are inseparable from the Sciences and from Life itself. The Museum provides a place for visitors to contemplate their roots, open their perspectives and become increasingly aware of creative options. It represents opportunities to experience the Arts, past and present, as a cutting edge into the future. 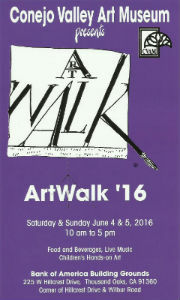 ArtWalk 2016 will be held June 4th & 5th. * Art Walk 2016 Entry Form and rules are here. 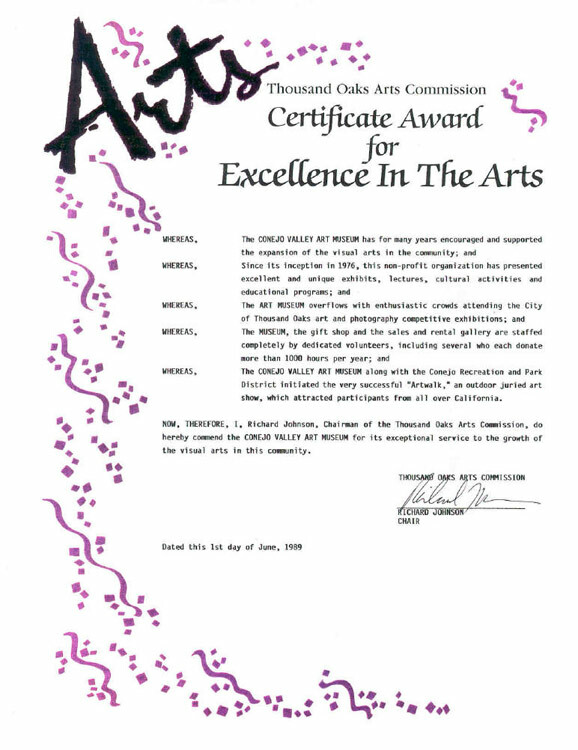 An evaluation form is given to participating artists at ArtWalk each year and we find that at least 50% of artists keep coming back because of the high quality of the juried fine art. The exhibition is very well laid out with ample space between booths. Staff and volunteers are very helpful with set-up and tear-down if needed. Sales were very good last year even with the state of the economy. High-end art sold well last year. Also, ArtWalk is free to the public, which makes it more pleasant and enjoyable for the whole family.